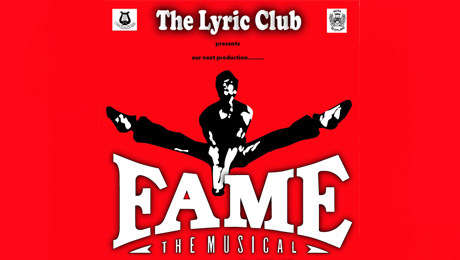 Don't miss the Lyric Club's production of FAME which is on at the King's Theatre, Glasgow this March. From the hit motion pictures, television series, and international stage success, FAME is nothing short of a global phenomenon. Set during the last years of New York City's celebrated High School for the Performing Arts on 46th Street (1980-1984), FAME - The Musical is the bittersweet but ultimately inspiring story of a diverse group of students as they commit to four years of gruelling artistic and academic work. With candour, humour and insight, the show explores the issues that confront many young people today and is both a high energy and entertaining show with a contemporary pop score, including the title hit song - 'Fame'! Featuring some of the best young talent in Glasgow, it's not to be missed! Find out more by visiting www.lyricclub.net or find them on Facebook.